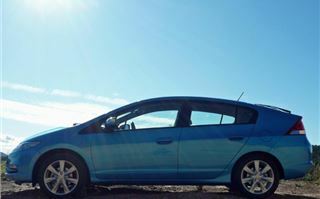 Ford has its Focus ECOnetic. VW has its Golf Bluemotion. 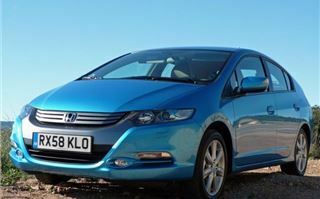 But instead of developing ever ‘cleaner’ diesels, with its new Insight model Honda has gone down the hybrid highway. Why? 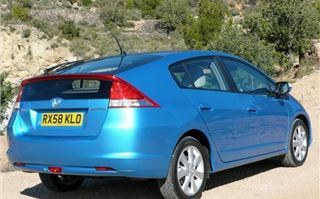 We all know that, driven carefully, a Focus or Golf diesel can deliver 60mpg. So what’s the point of the added complication of hybrid drive? Actually, less complication. To conform to the latest emissions regulations a modern diesel has to have a particulate filter in its exhaust system. Add that to swirl actuators in the exhaust manifold that break loose and lunch the engine, a common rail diesel pump that seizes at the slightest lack of lubricity in its fuel, and a dual mass flywheel inclined to become a dual mess flywheel and modern diesels are both potentially and actually less reliable than modern petrol engined cars. Run them in town and they often won’t run for long without clogging the particulate filter, or without the filter destroying the engine oil. And in London that’s as well as having to pay the congestion tax on top of paying 10p more for a litre for diesel than for petrol. So that’s £8 a day, on top of £35 a year VED v/s a hybrid’s £0 a day on top of just £15 a year VED. End of that particulate argument, then. So what’s the car actually like? First, a confession. My boy racing days are well behind me and I’m far more interested in preserving my driving permit, in the UK anyway. Even in Thailand I see no point in accelerating hard from lights and junctions just to gain a few seconds. I’m happy to stick to the limits in the UK and cruise in the 110 – 140kmh bracket across Thailand. And that gets me 43mpg in a new Honda City 1.5 5-speed auto, or 46mpg in our ageing 115km Toyota Vios 1.5 auto. So I drove the Insight in pretty much the same way. Using the Eco button to take spikes out of the acceleration in favour of economy. And happy to grow the little bed of five cannabis plants in the central display that indicate how economically you have been driving. So on a mix of country, autopista and city centre roads we wound up with a score of five pot plants and 5.1 litres per 100km, which translated to 55.4mpg. Not far off what my Focus ECOnetic would have done on the same journey at the same speeds and ambient temperatures on BP Ultimate diesel, though at 10p more per litre than the petrol the Insight runs on. 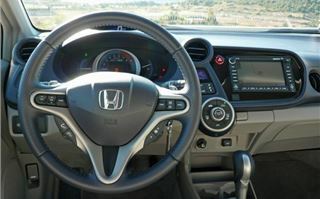 Honda claims an unambitious 61.4 mpg for the spec of Insight we were driving (on 185/55 R 16 tyres), and 64.2 mpg for the base SE version on 175/65 R 15 tyres, which should be reasonably achievable by any driver without the pain of having to drive excessively slowly with an angry HGV on his tail. While the ride was by no means bad on the 185/55s of our car, it will obviously be slightly more absorbent on the less resistant 175/65s. There’s plenty of room for five as long as no one is more than six foot tall. Head and legroom in the back is adequate rather than brilliant. 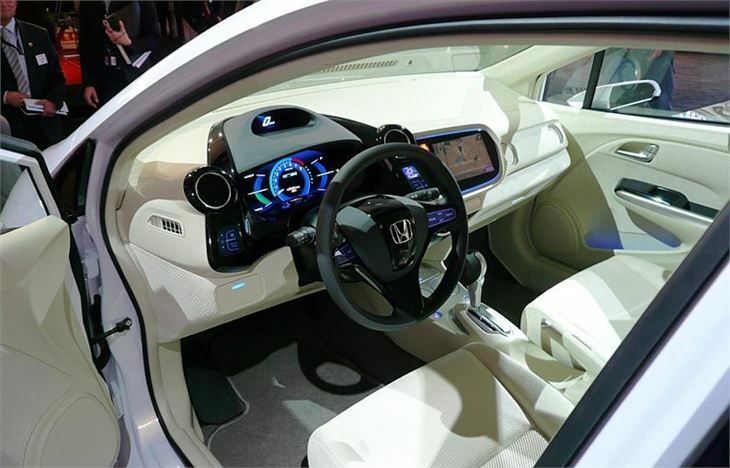 Because Honda has managed to tuck its new, smaller battery pack into the ‘U’ of the twist-beam trailing arm rear suspension, there’s plenty of boot space, sensibly arranged, with a maximum width for golf clubs of 1,400 millimetres behind the rear wheelarches. 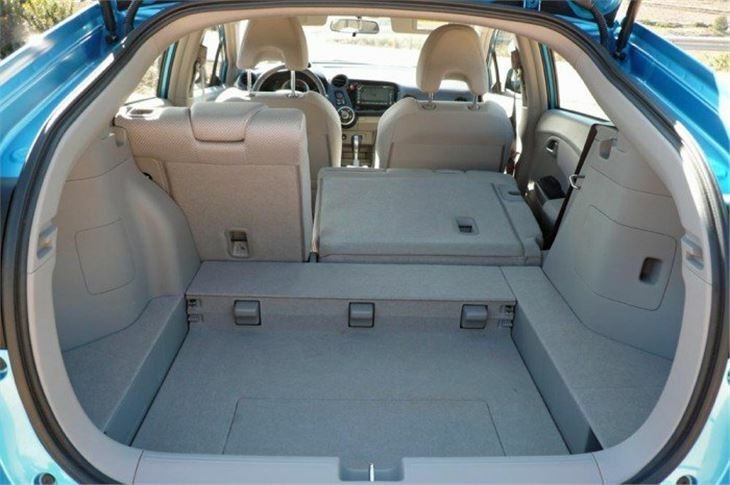 With no spare wheel, the boot floor folds into a well, just like the Civic’s, bringing boot space up from 350 litres to 408 litres, which Honda boasts is more than a Focus or a Golf’s. But, that’s only with no spare wheel. 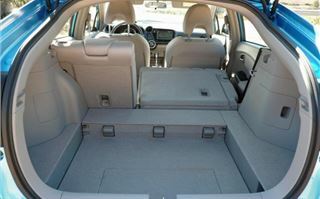 Specify the optional space-saver and there’s only 350 litres. The rear seatbacks simply fold down 60/40 on top of the squabs and I measured a load length of 1,700mm. A few minor annoyances were that to switch the engine off at traffic lights you have to sit with your foot on the footbrake possibly inflicting ‘red rage’ on the driver behind. The rear window is split horizontally, like a Civic’s, so low cars can be obscured by the 3” wide bar between them, though, unlike the Civic (but like the Prius) there is a rear wiper. And, in the central position, the electric power steering loses ‘feel’ and becomes a bit imprecise, though, once you get into a turn, it’s fine. 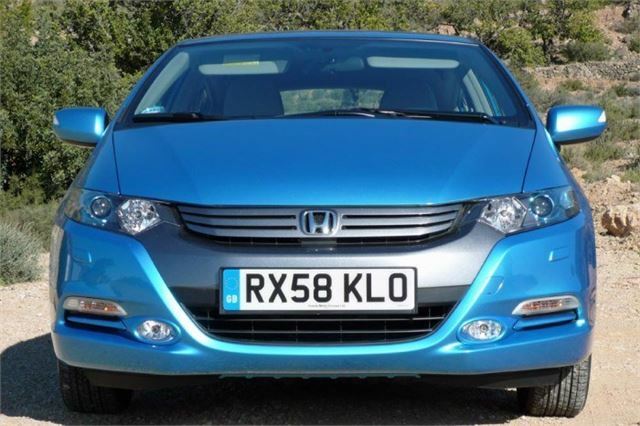 At 5’ 7” with the door mirrors electrically folded, the Insight is usefully narrower than the class average, so better able to fit a modern garage. The slight downside is that you sit a bit closer to your front seat passenger and the central console box is a couple of inches thinner. 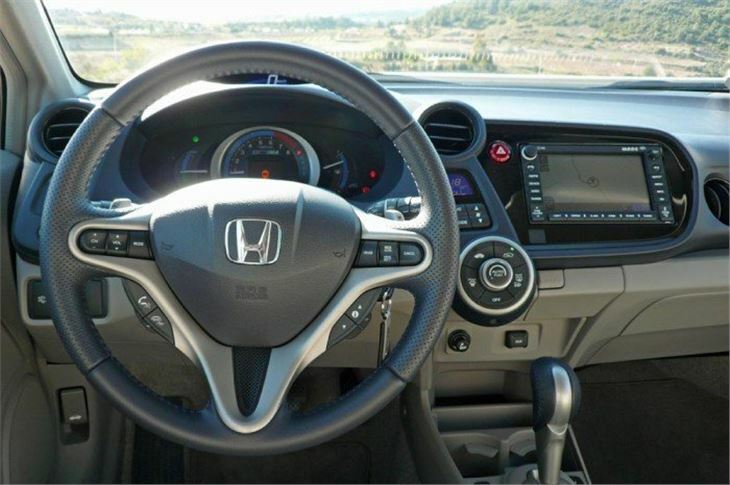 The instruments are clear, with a digital line-of-sight speedo, though in the Civic-like’s height and reach adjustable steering wheel’s ideal position for your hands you may find its rim obscures the reading. With econo guage, engine/electric indicator, and blue/green halo effect speedo there’s a lot going on in the instrument panel and a slight worry is that in obsessing about keeping all the leaves on the plants a driver might find himself on undesirably intimate terms with the boot of the car in front. 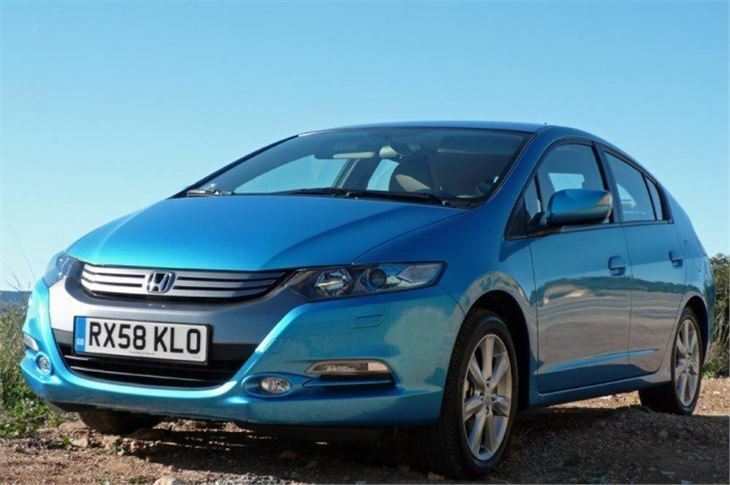 All that said, if Honda can manage to list the car at between £15,000 for the SE and £17,000 for the EX with satnav, I’d say it’s onto a winner. 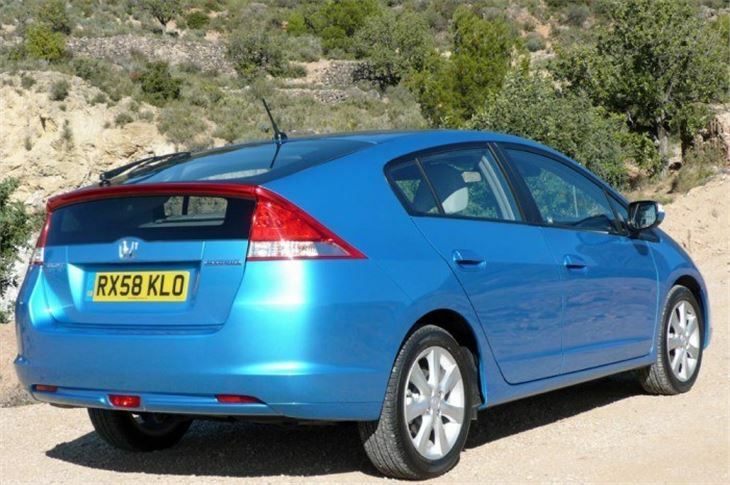 The Insight has distinct advantages over its diesel competitors, particularly for anyone needing to regularly drive in cities.